petition: Laos: The Tiger Meat Farms Must Go! Laos: The Tiger Meat Farms Must Go! Many people think of the small Southeast Asian country of Laos as paradise on Earth, but for many of our four-legged friends it is truly nothing but hell. In a recent report Laos was singled out as one of the worst countries participating in the wildlife farming industry. 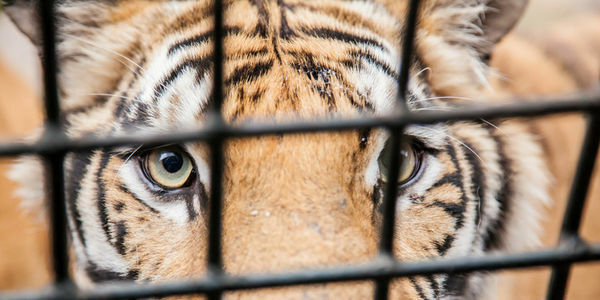 Where small ramshackle cages filled with tigers and other endangered animals await their fate. Usually that means they will end up on a tourist plate. What&apos;s worse is that while "farm" owners claim the animals are captive bred, many are caught in the wild and then sold into the illegal exotic animal trade. In one specific destination, the Kings Romans - an entertainment complex containing a hotel, casino, "zoo" and restaurants, you can purchase anything from bear paw, pangolin and sauteed tiger meat. And the nearby jewelry shops sell endangered animal parts like tiger teeth and rhino horns. Last year the Laotian government admitted there was a real issue with wildlife farms within their borders and committed to taking steps to curb it. But as of yet, nothing has happened and each and every day, tigers, bears and other endangered species are being slaughtered for their parts and meat. It is time the Laotian government take real steps to end this horrible practice by shutting down these wildlife farms and penalizing their owners. Sign this petition and let&apos;s tell the Laotian government the world is watching, close the wildlife farms now! Last year your government recognized that the illegal wildlife farming industry within your borders was a serious issue. You also committed to doing something about it. Much time has passed and there has been no substantial progress in fighting this serious issue. It is time you keep your word to the global community and end this inhumane industry. Animals like the tiger belong in the wild, not on our plates.